Smoke&Dagger is a new brand of handcrafted e-liquid that relies on original flavor combinations, quality ingredients and eye-catching packaging to achieve success in a very competitive industry. After F.L. Morris, the founder of Smoke&Dagger, contacted me about doing a review of their e-liquid line, I went to the company’s official website to take a closer look at the juices. 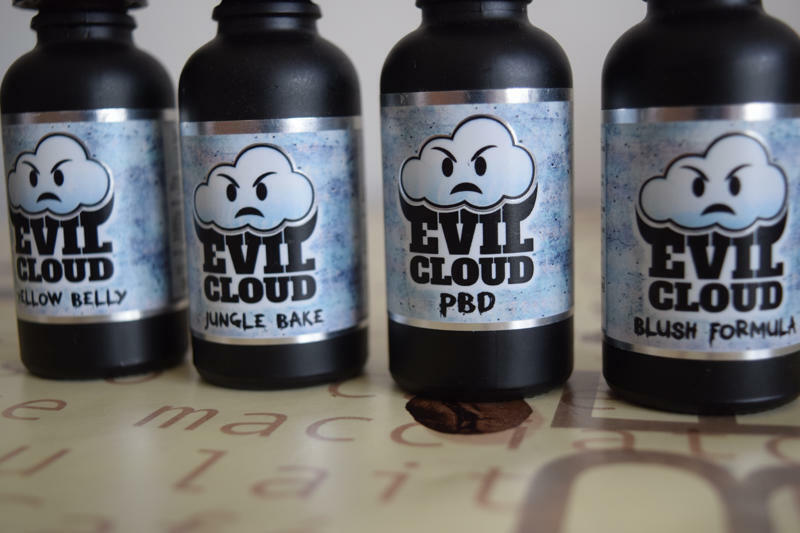 Although there were only three Smoke&Dagger e-liquids to choose from, I have to say that the original flavor profiles and the quality look of the bottles really got me intrigued. 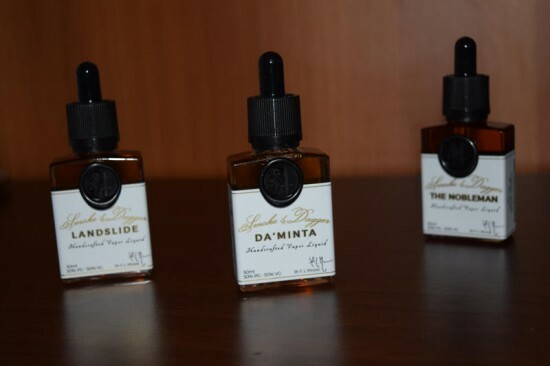 Luckily, Morris was kind enough to send me all three available flavors – The Nobleman, Da’Minta and Landslide – and even though they took a while to reach me, I’m glad I got the chance to try them all. But before we talk about the juice itself, I really have to mention the packaging. While most companies nowadays go for the classic medicine bottle-type of container, Smoke&Dagger uses rectangular bottles with an all-white label and a classy wax seal that makes them look like miniature liquor bottles. They’re really quite something to look at, and the whiskey-like color of the three juices might actually tempt you to take a sip. Please, don’t, though. 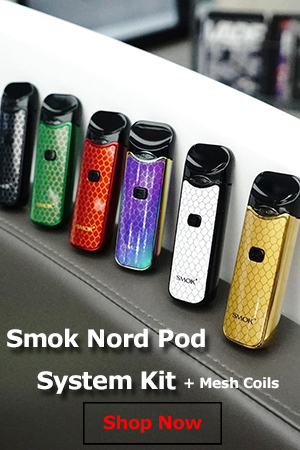 But the Smoke&Dagger packaging isn’t only aesthetically pleasing, it also features all the necessary info and warnings, from the PG/VG content, nicotine strength and flavor profile, to nicotine strength, batch number and manufacturing date. 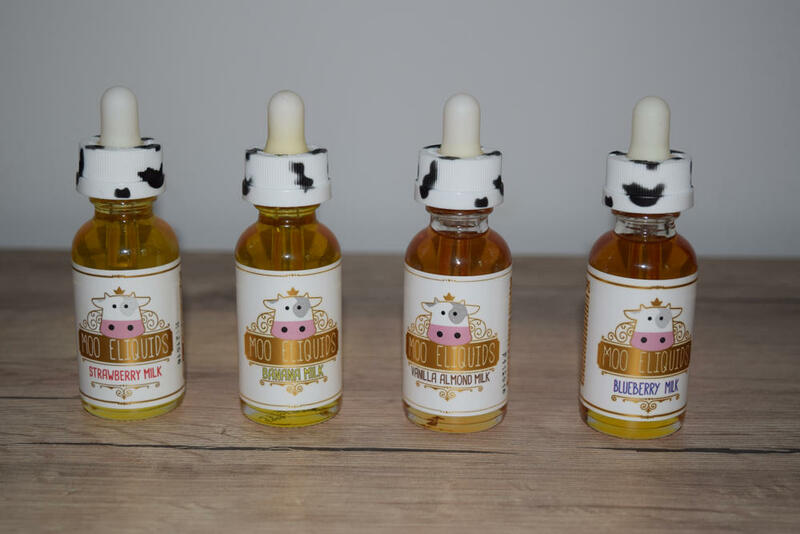 Not all e-liquid brands are this thorough – at least they weren’t until the FDA regulations came into effect on August 8th – so it’s always nice to see companies taking a responsible approach instead of focusing solely on presentation. The Nobleman – a combination of tobacco, vanilla, custard and strawberry. That sounds interesting, to say the least, especially the presence of strawberry in what I assumed was a tobacco juice. I get the vanilla and custard, to add some creaminess and sweetness to the tobacco, but I was really skeptic about the strawberry. However, after taking my first draw, I realized that the tobacco was so mild, so discrete that it almost felt overpowered by the other flavors. 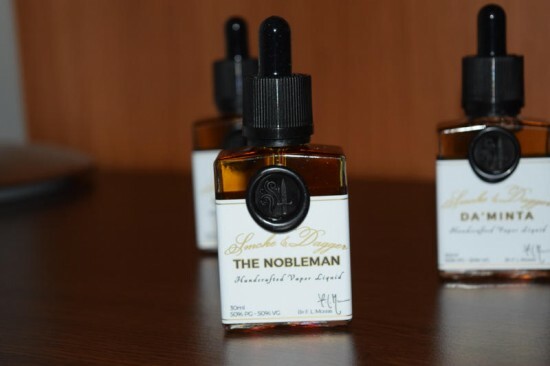 There’s definitely some tobacco in The Nobleman, but I wouldn’t go as far as to call this a tobacco e-liquid. The strawberry is not much stronger either, which just leaves the vanilla and custard as the dominant flavors. It just so happens that I’m a huge fan of both of these and dessert vapes in general, so The Nobleman was right down my alley. This is a creamy, sweet, and flavorful juice with hints of harsh tobacco, so if you’re into that, I would definitely recommend you give it a try. I myself loved it, but as a dessert juice, not a tobacco one. Landslide – this one is a mix of banana, cream, hazelnut and caramel, and it actually tastes as good as it sounds. 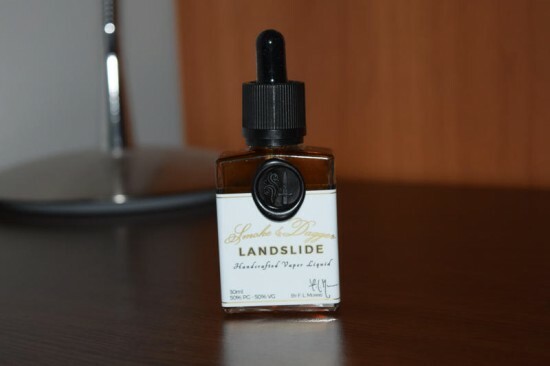 Landslide was the juice that appealed to me the most while checking out the flavor profiles on the Smoke&Dagger website, so I was happy to see it live up to my expectations. 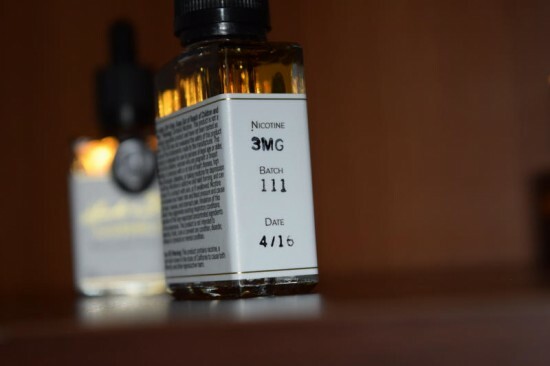 Just like the Nobleman, it’s a very complex juice, and while some of the flavors are stronger than others, you can definitely taste everything that’s written on the bottle. That’s pretty rare, in my experience. The banana is definitely the most dominant Landslide flavor, particularly on the inhale, with the hazelnut and caramel coming in strong on the exhale and lingering on your tongue for a few minutes. The cream is there throughout the whole vape, adding a layer of smoothness. 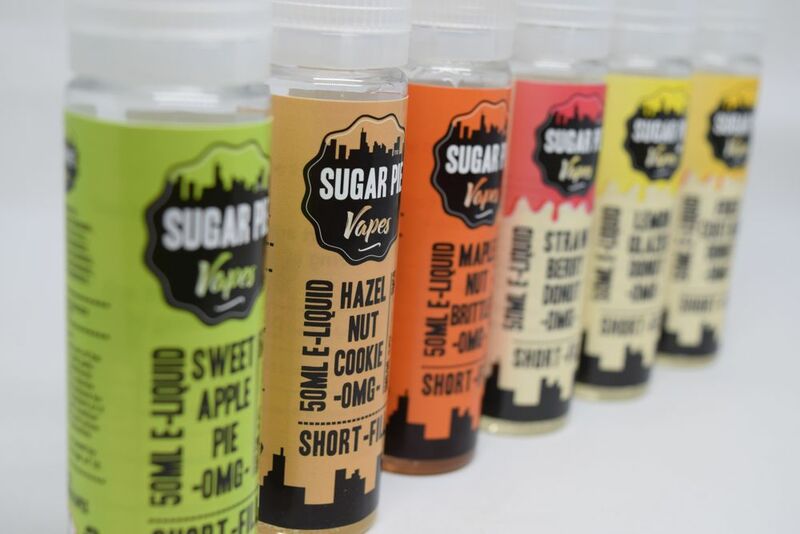 All in all a really inspired combination of flavors that you’re guarantee too enjoy, especially if you love sweet or nutty vapes. Da’Minta – fresh mint, cream chocolate, coconut and vanilla. Smoke&Dagger really seem to love vanilla, they add it to all their flavors. Unfortunately it can’t save Da’Minta from coming across as a bold but failed attempt at coming up with a truly original juice. I just didn’t like the combination at all. I hated the mint and coconut combination from the very first draw, and even though I pushed myself to take a few more puffs thinking it would eventually grow on me, it never did. I’ve tried chocolate mint e-liquids before, and some of them were actually really good, but for some reason Smoke&Dagger thought adding coconut to the mix was a good idea. In my opinion it just ruined the whole formula. This is just my opinion, obviously, so if you’ve tried mint, chocolate and coconut before and liked it, you may want to give Da’Minta a try. So two really solid flavors in The Nobleman and Landslide, and a pretty bad one in Da’Minta. Two out of three is not bad, and I really think Smoke&Dagger has the potential to become a popular juice brand. Here’s the deal breaker for me, though. 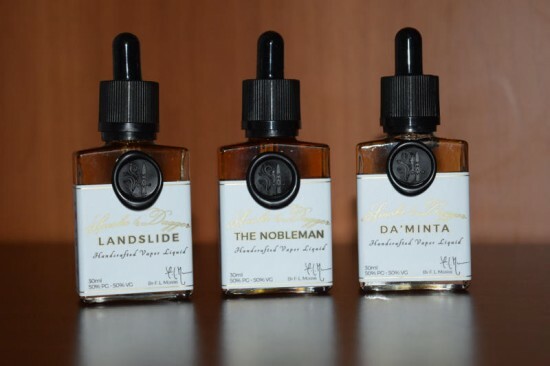 As much as I loved The Nobleman and Landslide, I’m not sure that I would pay $24 for a 30ml bottle of them. 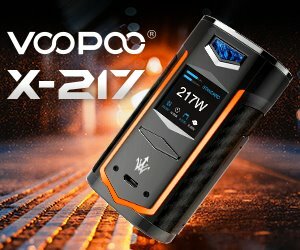 That’s a good $2 over the average price of high-end handcrafted e-liquid, and I really don’t know how to justify the price boost. The nice packaging might be to blame, but if that’s the case, I for one would prefer run of the mill juice bottles.